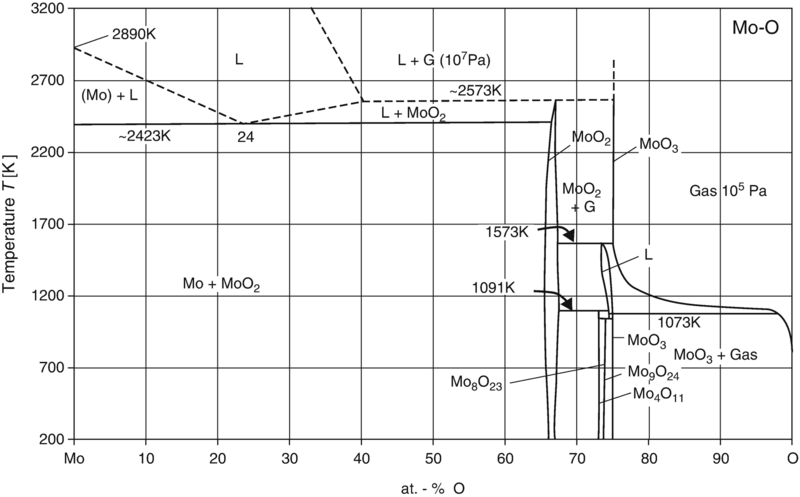 This chapter provides the phase diagram of Mo-O (molybdenum-oxygen) system. 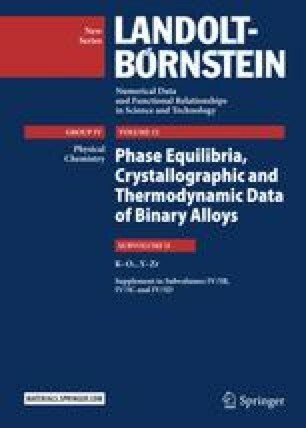 Brewer et al. [80Bre] on the basis of informations from the literature have drawn a phase diagram, which has been redrawn by [Moffatt] (see Fig. 1).